resources used in mineral and rock form, including boron, bromine, gypsum, phosphate, potash, and salt, as well as aggregate, crushed stone, and dimension stone cannot be estimated in this way. Unconventional deposits, which are usually characterized by low grade or unusual mineralogy, are widespread and surprisingly common for almost all mineral resources (Brobst and Pratt 1973). Most of these deposits are on the continents and many host several elements, none of which is sufficiently concentrated to be of economic interest by itself. Fewer deposits are found in the oceans, although volcanogenic massive sulfide deposits and manganese nodules and crusts are important potential ocean resources. Regardless of the form of these deposits, ore minerals that host the desired element are a key factor. Skinner (1976) called attention to this by noting that many ore elements can either form ore minerals of their own (usually sulfi des and oxides) or substitute for other elements in the crystal lattice of common rock-forming silicate minerals; for instance, lead substitutes for potassium in orthoclase feldspar (KAlSi3O8) and nickel substitutes for magnesium in forsteritic olivine (Mg2SiO4). The energy required to liberate lead and nickel from feldspar and olivine is much greater than is required to liberate them from common sulfide ore minerals, such as galena (PbS) and pentlandite ((Fe,Ni)9S8). Skinner suggested further that lead or nickel contents of samples taken at random throughout Earth's crust would show a bimodal distribution, with oxide- and sulfide-hosted elements in the high-concentration mode and silicate-hosted elements in the low-concentration mode (Figure 7.4). Thus, the high-concentration mode consists of mineral deposits in which the ore element forms an ore mineral that is amenable to simple processing, and the other, much larger, low-concentration mode consists of the rest of Earth's crust in which the ore element substitutes for other elements in rock-forming silicates and is not amenable to simple processing. Not all rock in the high-concentration mode is currently economic, but it would certainly have a much higher chance of becoming so as prices increase. 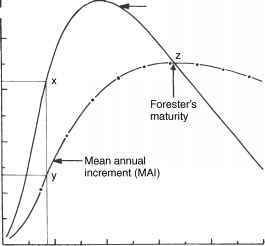 Confirmation of the bimodal distribution would provide strong support for the fixed stock camp, but this is a highly controversial topic. Skinner (1976) indicated that it was not likely to apply to elements such as iron, which form major elements in both silicate and ore (oxide and sulfide) minerals. Singer (1977) found that the bimodal distribution is not present in available tabulations of analyses for large samples of rocks that make up Earth's crust. Gerst (2008) determined the distribution of copper contents in ores of various types and suggested that it formed a mode that was distinct from that of average crustal rock, but lacked samples outside the ores to confirm this. More comprehensive sampling programs, both in distribution and size of samples, are obviously needed to resolve this controversy.